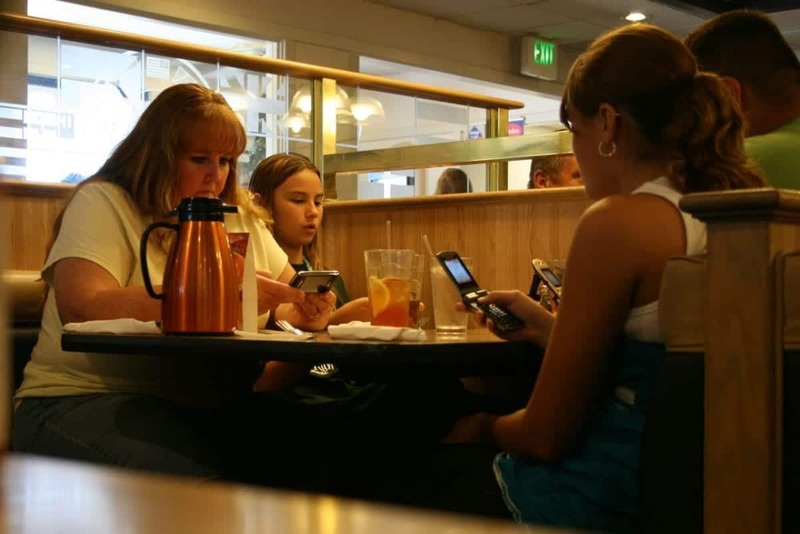 Is Technology Eroding Quality Family Time? It was only when Dianne Vavra looked up one evening to see her husband streaming a basketball game on his laptop, her son absorbed by Mario Kart on the Wii and her daughter playing a game app on an iPod Touch that she realised. “The family was in the same room, but not together”. The concept, dubbed the “Domestic Matrix” by the New York Times – families sharing a common space, but plugged into entirely separate planes of existence through technology – is becoming increasingly prominent in modern households. According to new research modern families enjoy just 38 minutes of quality time together on the average weekday. Almost a third parents blame their family’s reliance on technology as a reason for the lack of quality time they get to spend together, but most worryingly, more than nine in ten said that the little time they have to spend with their children usually sees one – or all of them – distracted by the TV, computer games, mobile phones or tablets. The report revealed that most kids would rather play computer games and watch the TV than interact with their family, but it’s not just the kids that are to blame. Parents are becoming so engrossed in their smartphone that they are perpetuating the digitisation of family time, spending a lot of ‘quality time’ checking in on social media, answering emails or responding to text messages. Liz Penney, spokesperson for Hollywood Bowl, said: “Getting time together as a family is difficult, it’s a shame to see just how little quality time parents and their children are spending together, without the distractions of day-to-day life interfering. “A worrying trend to emerge is the influence our heavy reliance on electronic devices is having on the lack of quality time we spend with our loved ones, as even when we are all at home together, chances are, much of that time will be spent with children and parents staring at a screen.